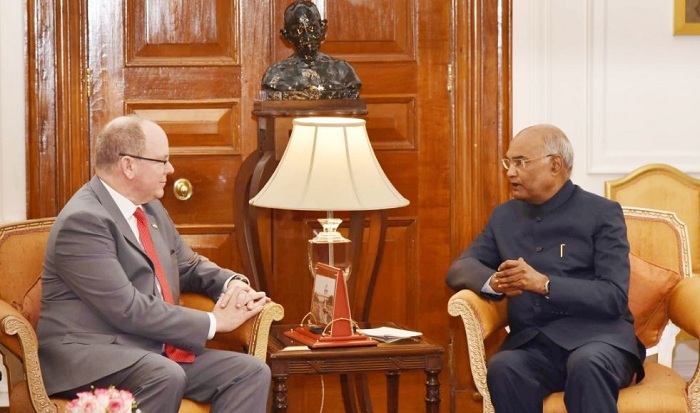 Prince Albert II of Monaco called on the President of India, Ram Nath Kovind, at Rashtrapati Bhavan today (February 5, 2019). It was a courtesy call, but the issues discussed ranged from trade to cooperation in technology. The President said that India-Monaco ties are doing well. However, there is scope to do a lot more together. On issues such as renewable energy, climate change and the environment, there is a strong meeting of minds between us. We must prioritise these areas for bilateral cooperation. The President said India is the fastest growing major economy in the world. Monaco’s technology and investment companies can significantly benefit from the Indian growth story. At the conclusion of the official engagements, Prince Albert II would proceed on a private tour of India and depart from India on 10th February 2019.